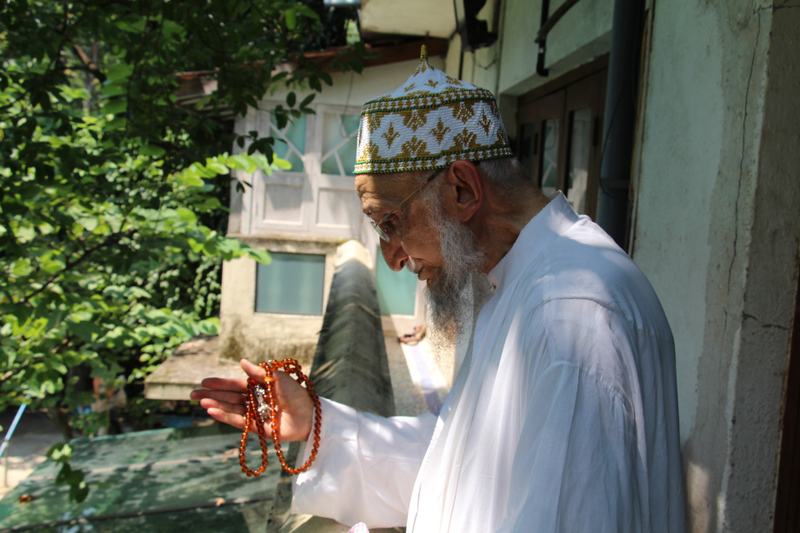 May Allah Ta’ala deliver us to the zumra of Imamuz-zaman… this life is because of Imamuz-zaman, his naseem (breeze of blessings) is flowing, the breeze of his grace and affection…, the blessings and naseem of Panjetan and the Imams is flowing towards us, especially Imamuz-zaman, his grace and naseem is flowing towards us, because of his naseem our hardships are alleviated, our difficulties are eased…such are the nazaraat of Imamuz-zaman SA. 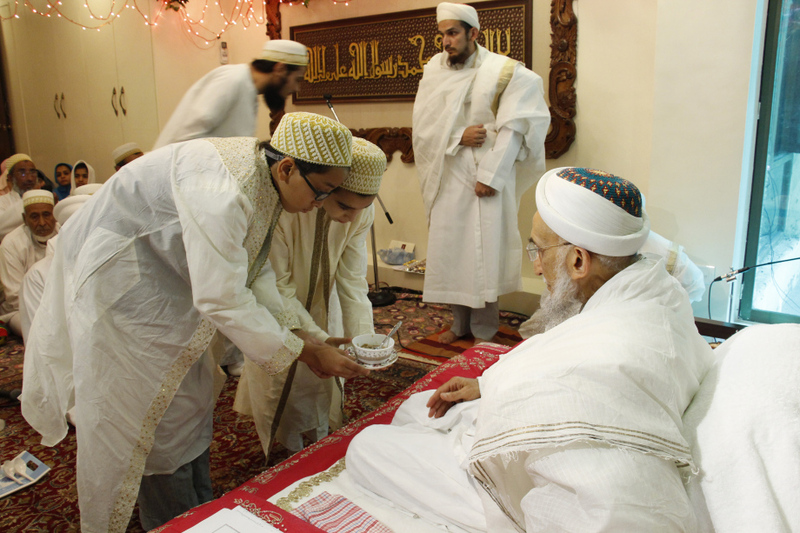 His Da’i establishes his Dawat in the midst of Mumineen — the Imam’s barakaat are Eid for us, the life [in the ma’arefat of the Imam] is Eid. 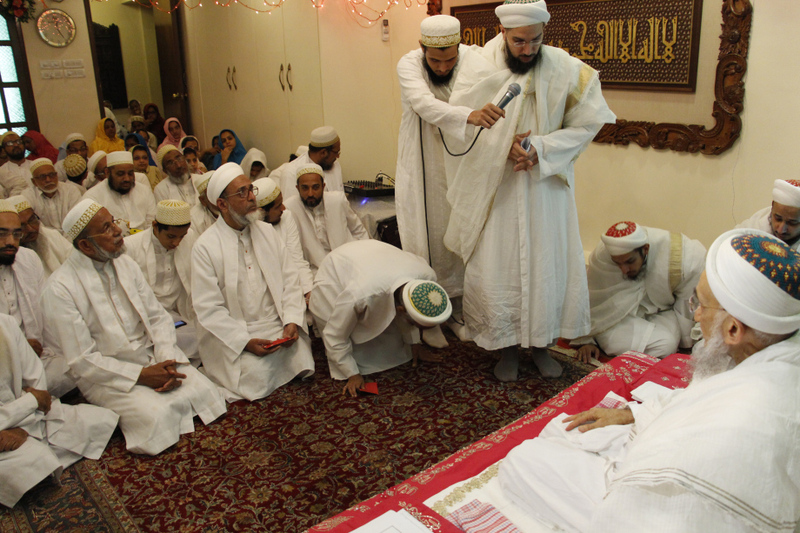 May Allah Ta’ala give tawfeeq to all Mumineen to recognize these truths, to give Misaq to the Imam’s Dai and by that give Misaq to the Imam. 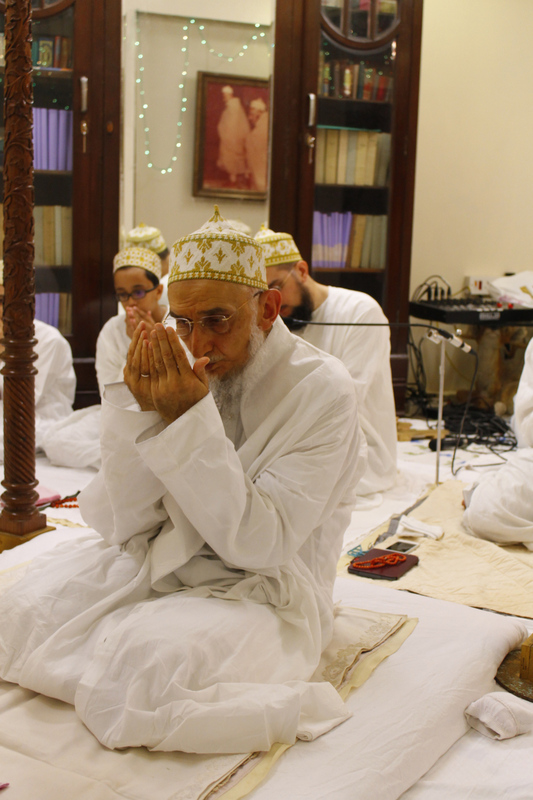 May Allah Ta’ala give tawfeeq to all Mumineen to enter the Haram-e-Aamin (the safe sanctuary) of Dawat, with calmness and peace. 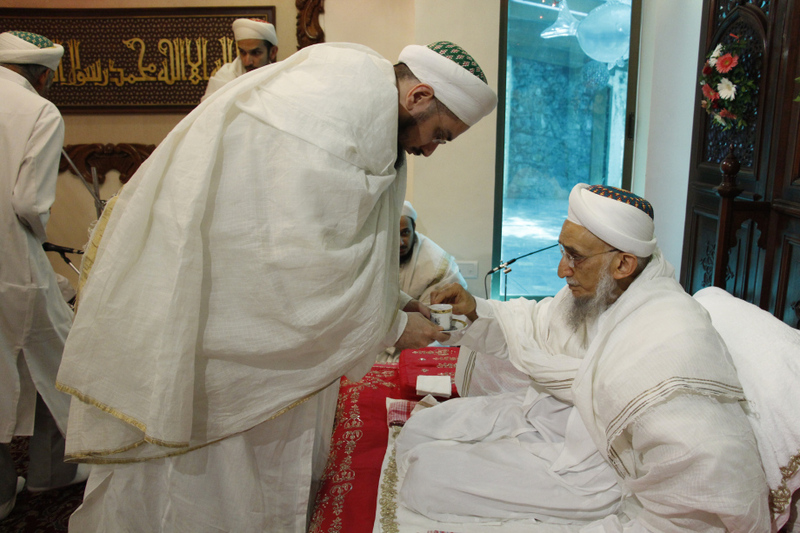 In this world there are difficulties and calamities, but in this Haram of Dawat, Mumineen are safe. 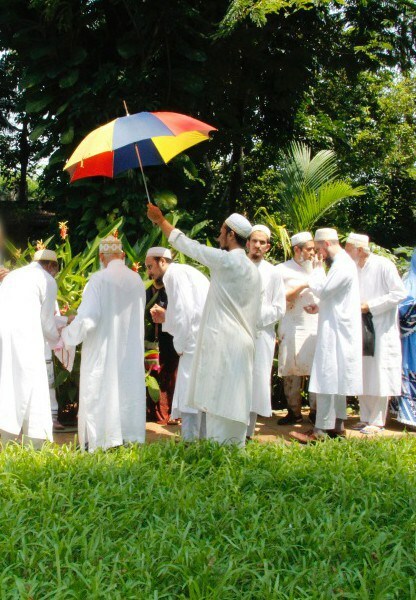 They are safe because of their imaan. 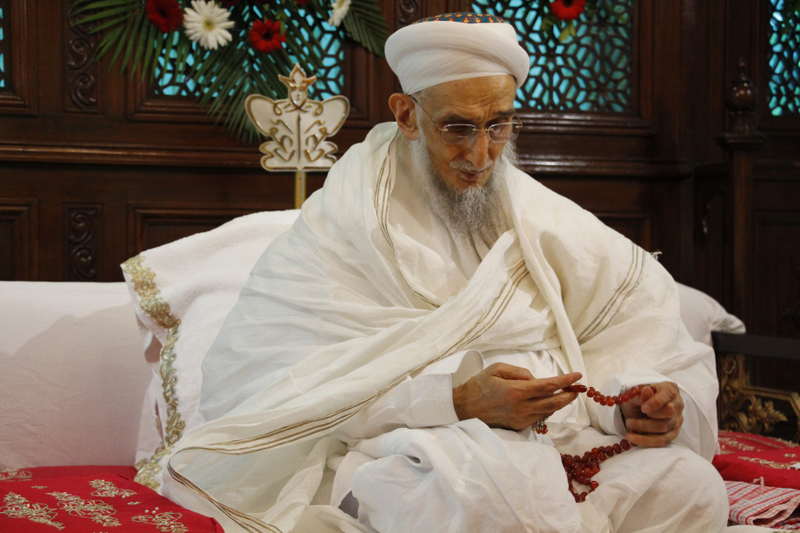 Syedna’s heartfelt wasila, iltijaa’ to Imamuz-zaman and doa was an expression of Syedna’s full confidence in the nazaraat of Imamuz-zaman and full faith and tawakkul on Allah Ta’ala. 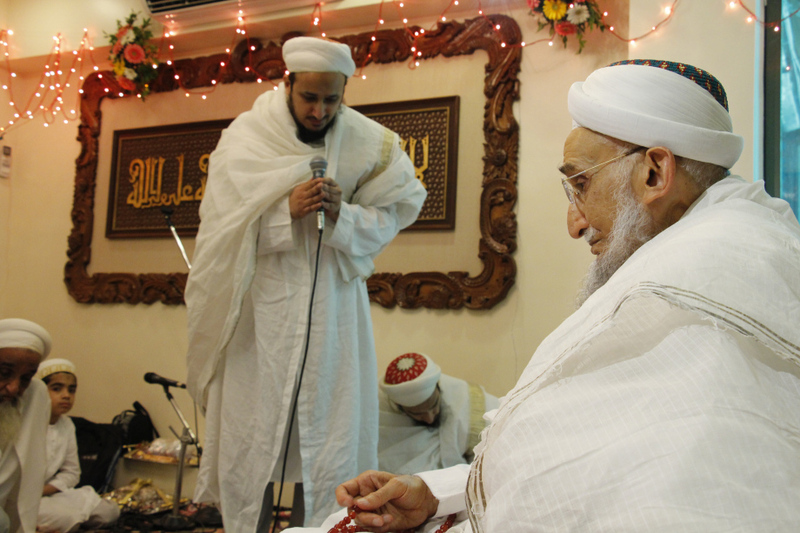 Syedna TUS did 4 qurbani on Eid day and then after Eid nashto presided over Eid Khushi Majlis. 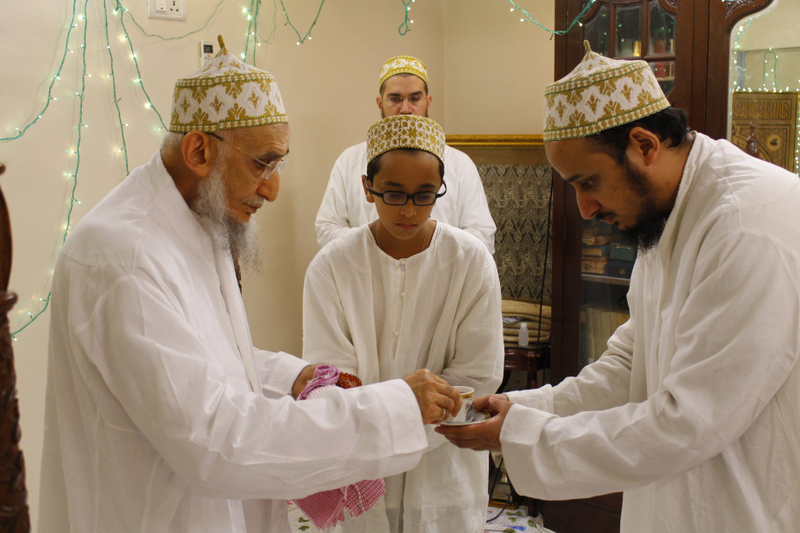 Mumineen were served Syedna’s qurbani meat during the Majlis. 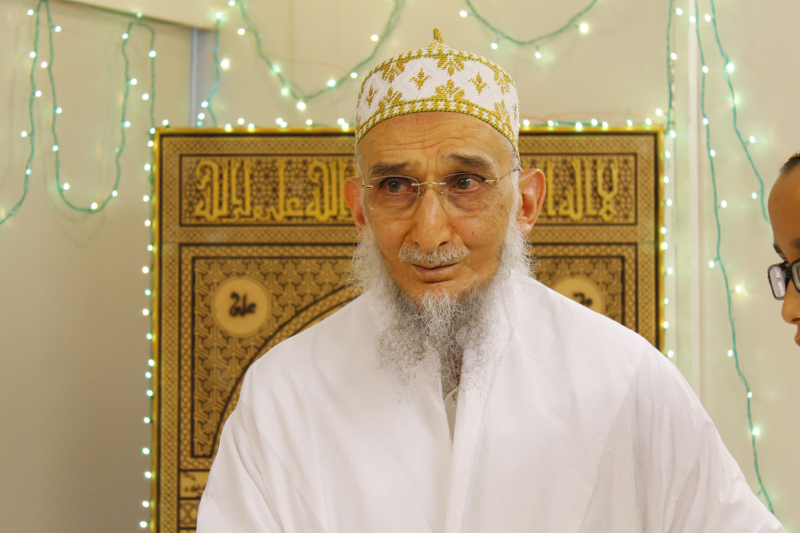 Qasida Mubaraka by Syedna Taher Saifuddin RA (ya Imamaz zamani ya man adha) and Syedna Mohammed Burhanuddin RA (ya aala Fatematin deenokomu qiyamu) were recited. Madeh by Shz. 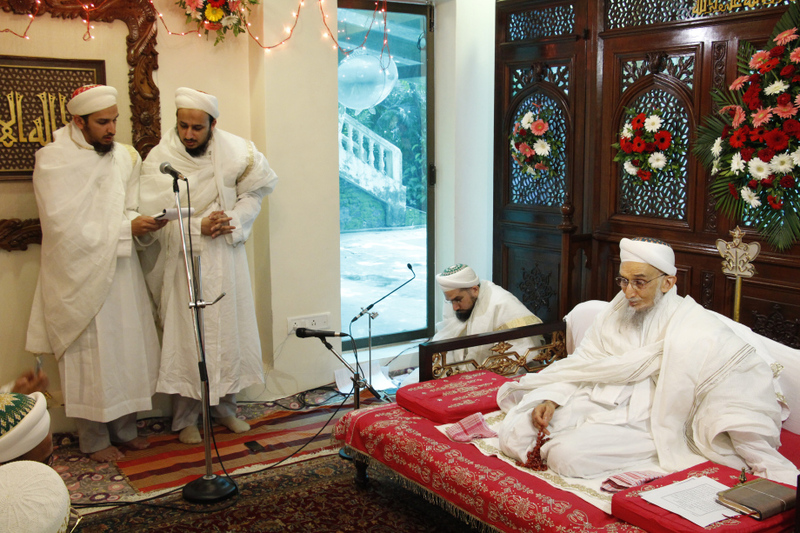 Dr. Tahera baisaheba written for this occasion and qasida by Shz. 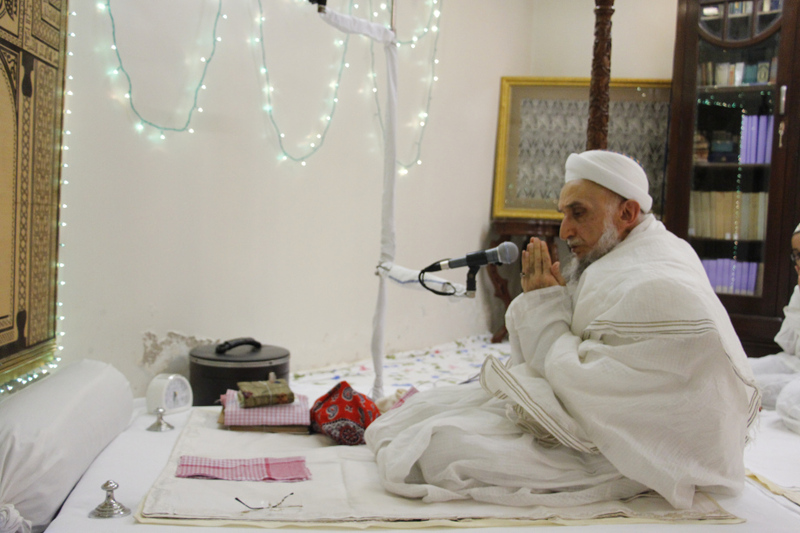 Dr. Aziz bhaisaheb also written for this occasion were recited. Shz. 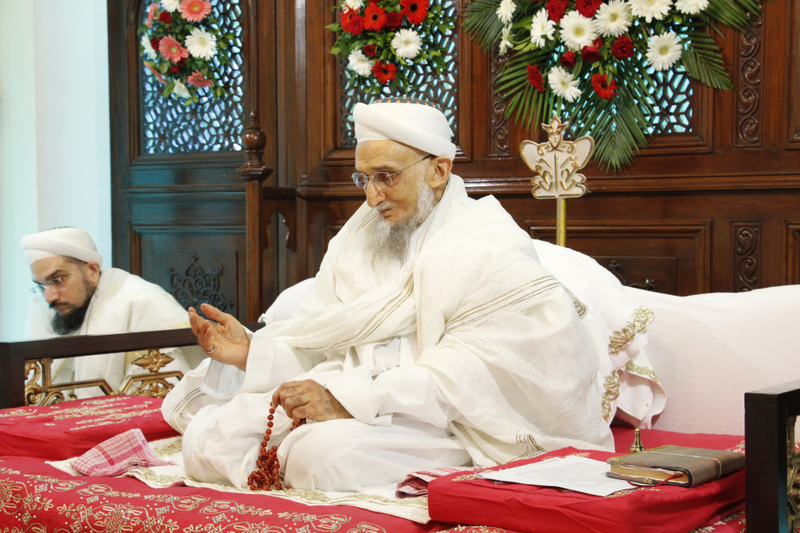 Dr. Abdeali bhaisaheb and Shz. 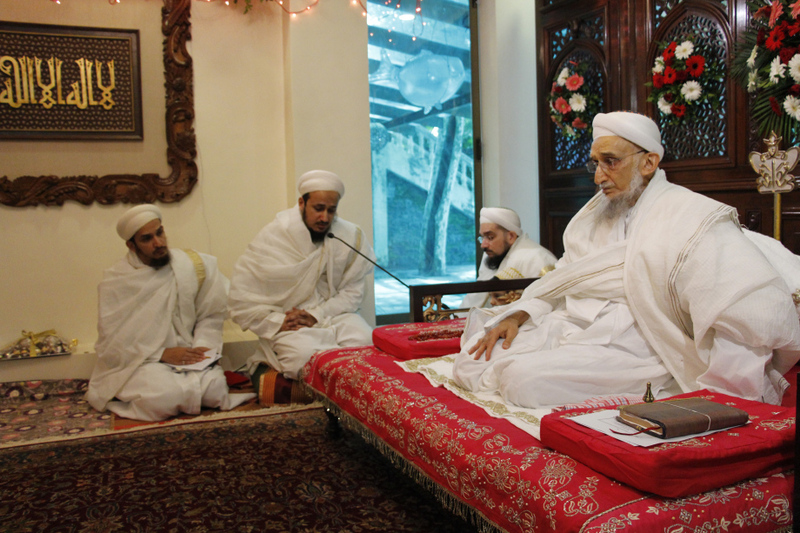 Dr. Husain bhaisaheb offered shukur to Maulana TUS for his doa and grace. 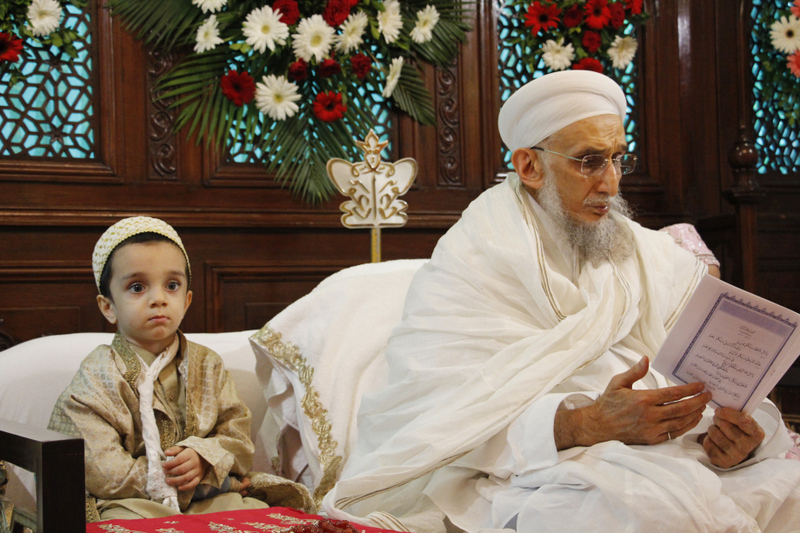 On the second day of Eid, Syedna TUS did 99 qurbaani in Darus Sakina. 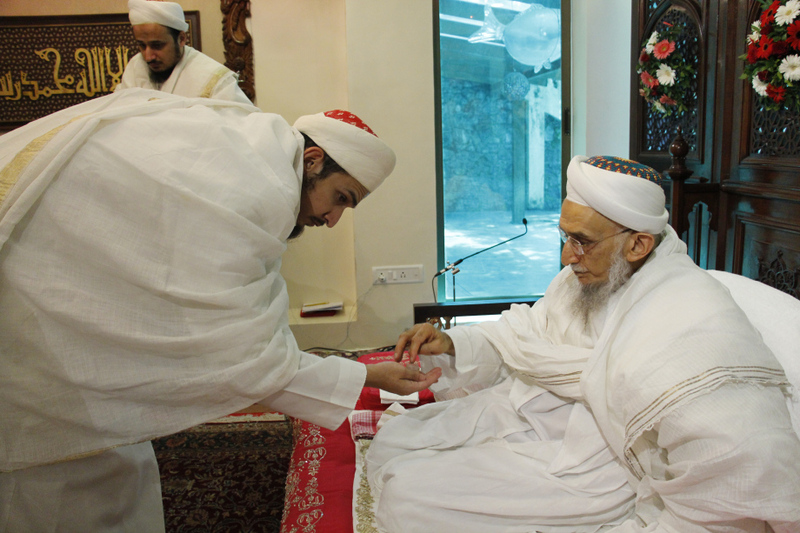 Syedna’s tradition is that the meat from qurbani is packaged and hand-delivered with the message of Syedna’s doa to households of mumineen and Muslimeen by volunteers. 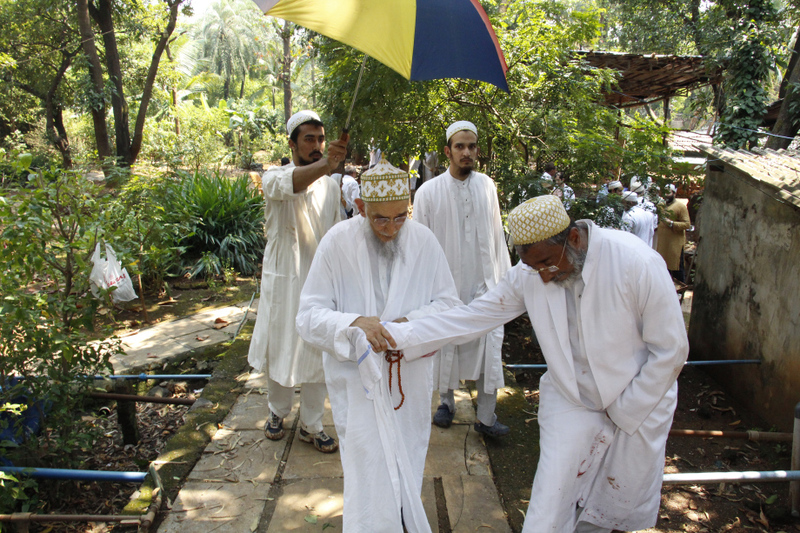 Many mumineen muminaat also participated in the 99 qurbani. The whole process of zabihat, cleaning and butchering, packaging, transporting and hand delivery is done on the same day. 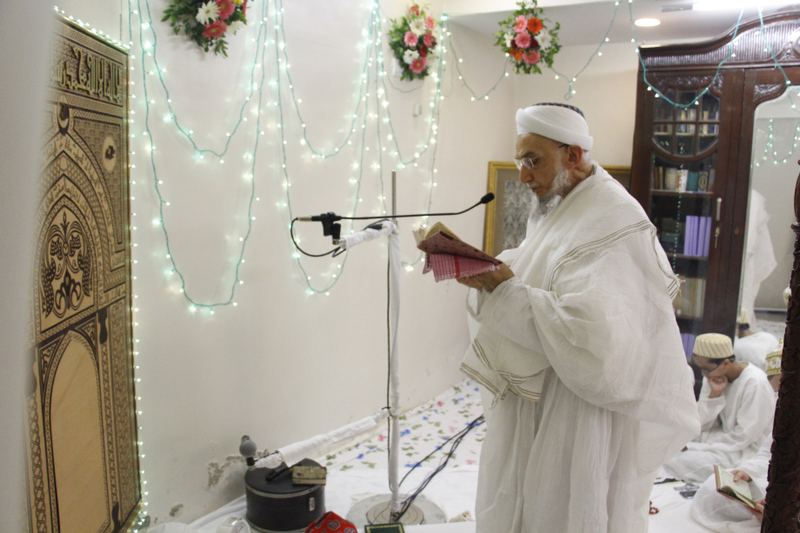 Volunteers from various local Muslim areas responded very enthusiastically and accompanied volunteers during distribution in both Sunni and Shi’a areas. 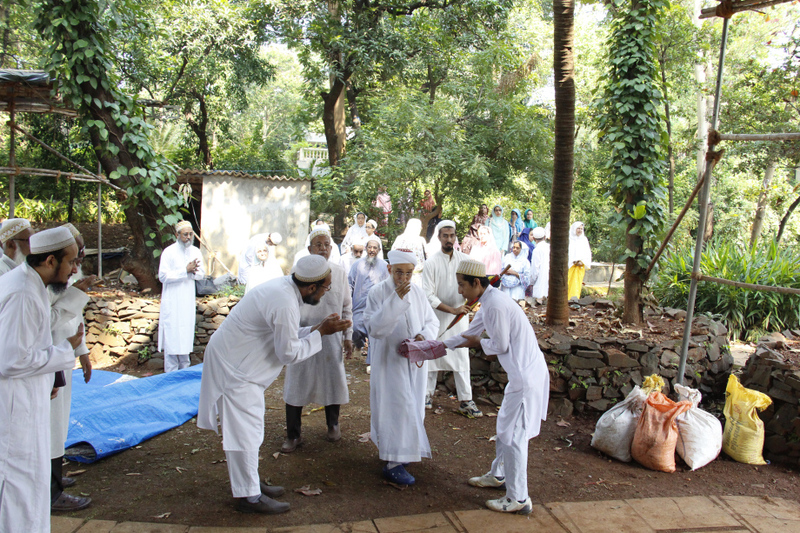 Over 3000 packets of approximately 1/2kg were distributed. 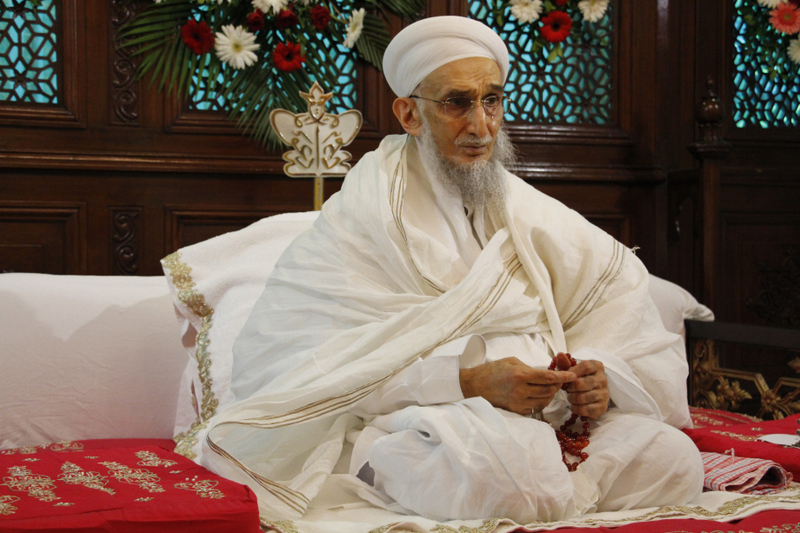 The packets were distributed with a card on which Ayatul Kursi was printed with a note of Syedna’s doa message. 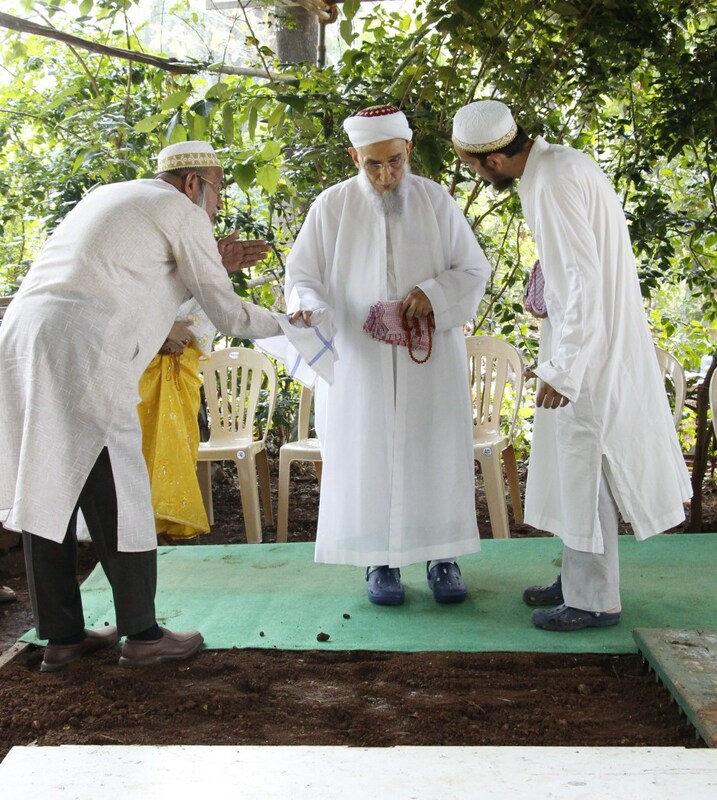 People welcomed the volunteers very warmly and deeply appreciated the qurbani meat and the gesture of sending volunteers to all the way to their doorstep. 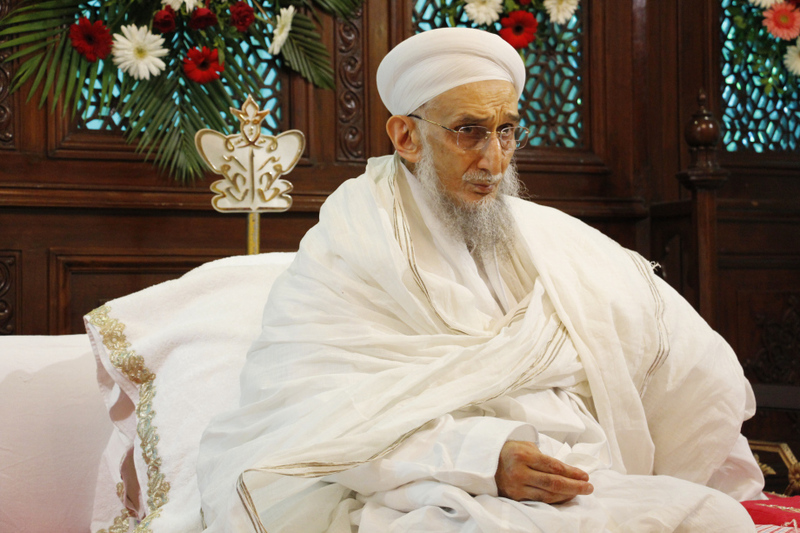 All volunteers also expressed immense satisfaction and gratitude to Syedna TUS for guiding them to take part in such activities and in the manner in which to carry out such activities. 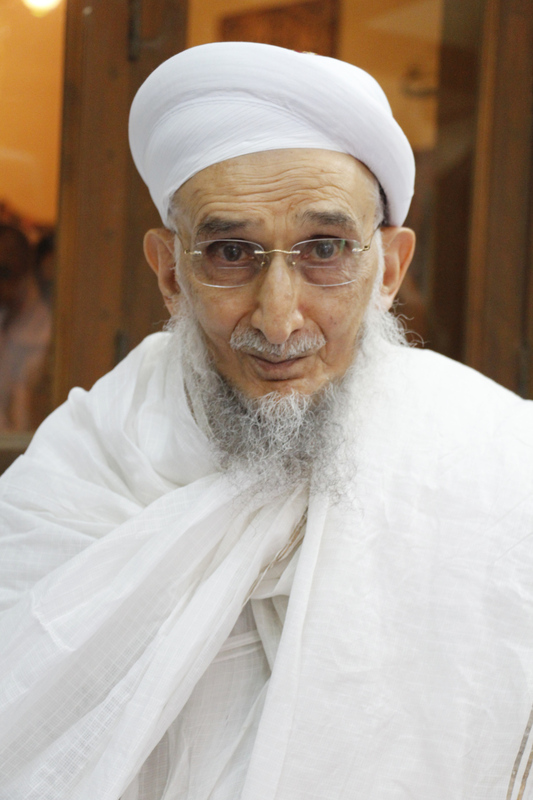 May Allah Ta’ala grant Syedna TUS longest life and may we celebrate one eid after another in his benign presence.